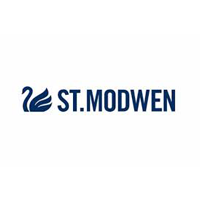 St. Modwen Properties PLC (LON:SMP), today announce the results for the year ended 30 November 2018. · NAV per share up 4.3% to 470.4 pence (2017: 450.9 pence). · Total accounting return stable at 6.0% (2017: 6.0%) despite significant de-leveraging. · Adjusted EPRA EPS up 7.5% to 14.3 pence (2017: 13.3 pence) despite major disposals. · Total dividend for the year up 13.1% to 7.1 pence (2017: 6.28 pence). · See-through LTV down 7.3ppt to 16.9% (2017: 24.2%). Strong progress in repositioning our portfolio towards sectors with the strongest growth prospects and in preparation to deliver further growth from the substantial opportunities in our pipeline. o Sold £529m of assets, on average in line with book value, bringing total disposals since launch of new strategy 18 months ago to £814m; over 40% of initial portfolio. o Sold over half of retail portfolio for £177m, less than 1% below book value, plus £48m of small assets; nearly double the £100-150m initially targeted for the year. o Reduced see-through net borrowings by £151m to £237m, less than half the level it was 18 months ago (May 2017: £580m), reducing see-through LTV to 16.9% (2017: 24.2%). o Increased committed pipeline from 1.0m sq ft to 1.5m sq ft since start of 2018, of which 87% will be retained with an ERV of £9.2m (start of 2018: £5.1m), 19% of which is let or under offer. o Delivered 0.9m sq ft of new space, of which 0.3m sq ft was pre-sold and 0.6m sq ft retained with an associated ERV of £4.5m, 0.4m sq ft of which is let or under offer. o Secured planning for 2.1m sq ft of new developments, taking total consented future pipeline to 8.1m sq ft with over £50m of ERV, providing clear opportunity to accelerate future development activity. o Delivered 22% growth in St. Modwen Homes volumes to 848 units sold (2017: 694 units) and increased margins to 14.4% (2017: 13.9%), in line with targets, driving 34.3% growth in operating profit to £31.3m (2017: £23.3m), with up to 25% volume growth and similar improvement in margins expected for 2019.
o Sold 49 acres of residential land to third-party housebuilders for £53m (2017: £56m) with at least a similar volume of sales expected for 2019.
o Released £141m of capital out of first phases of development at Longbridge and Swansea and completed latest phases of Swansea student accommodation and academic facilities. o Prepared next phase of development at Swansea for delivery by 2021 and continue to enhance Longbridge vision ahead of employment-led next phase of development. · Well-placed to deliver strong growth from existing pipeline and capital base, with meaningful improvement in return on capital expected and potential to broadly double adjusted EPRA EPS in medium term. Click SMP for the full archive.